Check out some of these clever marketing vehicles found around the web....my favorite is the noose on the old man! Good-ness that's gracious of you! I seem to be on a kick right now for charitable giving. So, I was pretty excited to find this new magazine out, called Good Magazine. Similar to the idea behind the search engine GoodSearch, which we wrote about recently, this magazine will donate your one-year subscription fee of $20 to an organization of your choosing. You'll get six issues of a hip magazine dedicated to (in their own words) "stimulating the culture of good by creating dialogue around things that matter". Good hopes to sign-up 50,000 subscribers, and donate 1 million dollars!! Ambitious and right up my alley! Scrolling through my RSS reader the other day, I came across a bit of AIDS-related news that put a smile on my face. Sounds strange, I know. It turns out 5 nations (France, Britain, Norway, Brazil and Chile) plan to raise $300 million to fight AIDS, malaria and tuberculosis next year, through the implementation of an airfare tax. 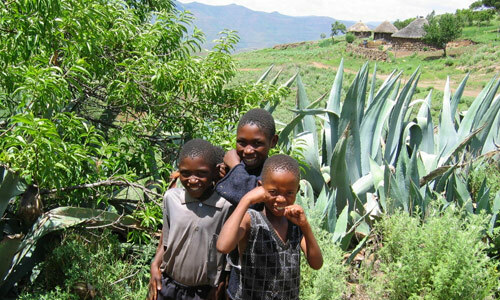 In all, the money will pay for the treatment of 100,000 children with AIDS, 100,000 people who have developed drug-resistance to former AIDS treatments, 150,000 children with tuberculosis and 28 million with malaria. Hopefully drug companies will be coaxed into providing these treatments at reduced prices. Bill Clinton's foundation has been asked to work on these negotiations. While certainly not the end-all, I think this is a great way to provide sustainable funding for diseases that disporpotionately affect children in the developing world. Chalk one up for the fight against dirty! Ever wonder how which countries have the highest carbon dioxide emissions? Breathing Earth, a fascinating interactive site shows just how much CO2 is being released into our atmosphere and by which countries, in real time. Spending just five minutes on the site will stagger you when you see how many tons of CO2 have been emitted during your visit. Do you know those fish tanks that have little plastic castles at the bottom of them? Seems ridiculous right? Not for the fish on the eastern seaboard. But instead of plastic they have steel and instead of castles they have subway cars. Confused? All the way from New Jersey to Georgia fish are making new homes in subway cars, armored tanks, naval ships, and tugboats. These massive steel units were strategically dumped in the ocean to serve as artificial reefs. In the mid-Atlantic region, there is very little exposed rock. The subway cars are acting as a hard surface or "artificial exposed rock" which is attractive to various oysters, mussels, and food sources vital to local fish populations. These artificial reefs become beacons of marine life. We all are familiar with the headlines about foodborne illness outbreaks in the US. I just read a Breaking News piece on an E. Coli outbreak in eight states, with one fatality, 50 very ill victims and the numbers expected to rise. This subject got a whole lot more personal for me several years ago when I discovered that I had got Hepatitis A after eating a cold sandwich from a local deli. The sickness was very unpleasant but not life threatening.. Sadly, this happens hundreds of thousands of times a year, and about 5000 of those cases end up fatal according to Centers for Disease Control (CDC). Call me crazy, but I like public transportation. I've done a fair share of it, and, unlike most people, I don't mind being squished in a small space with strangers. There's something exciting about not really knowing how to get to your destination, but by the time night falls, you're usually there. As a transportation aficianado, I love this map, produced by the International Networks Archive (INA), so much! Not only a beautiful graphic, it's got tons of interesting facts. Did you know that 8 years is the longest horse-drawn journey? Or that our flying feathered friends cost the airline industry $385 million each year? 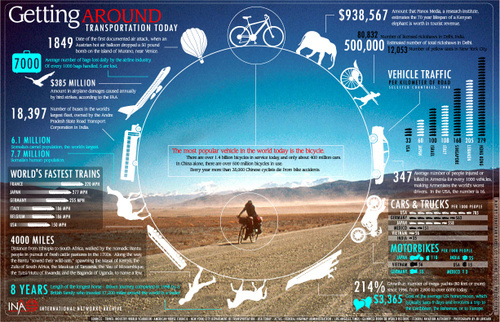 The transportation map is part of a series created by INA as a way to depict data about global topics in a map-like manner. Currently there are six other really cool maps ranging from the global arms trade to Starbuck's and McDonald's as hubs connecting the poorest and wealthiest nations in the world. Los Angeles!!!!! method has a month long “pop-up shop” in the Los Angeles’ retail store HD Buttercup. We will be there for the whole month of September so if you are in LA and looking for method come stop by and take a look at our temporary location. Since HD Buttercup’s focus is on furniture and home design, we are highlighting our specialty cleaning products, including our newly released microfibers. Keep checking in periodically because who knows where we will pop-up next. For directions to the store look at HD Buttercup’s site. For those of you who have seen our 'method - people against dirty' umbrellas adorning fruit stands around New York City this month, we just want to dispel any rumors that method is diversifying to the fruit vending business. We just really love fruit.....and hate sunburns. Introducing Tesla Motors. I know, I know, you are thinking, "Great, I get to drive a go-cart to and from work everyday, which probably maxes out at 50 miles per hour." 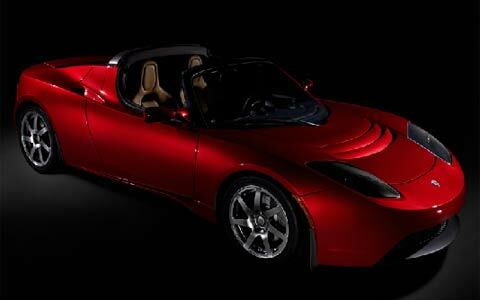 Think again, the new Tesla Roadster is powered by lithium-ion batteries and an electric motor, can go from 0-60 in 4 seconds with a top speed of 135 mph, and only needs to be recharged every 250 miles for 4 hours (if it is a completely dead battery) before it's ready to go again. Plus, it's super sleek.